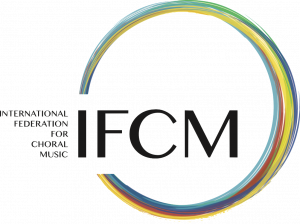 As a result of the IFCM Logo Challenge held last year, the IFCM now has a new and exciting logo that will lead the entire rebranding process of the IFCM over the coming year. It was encouraging to receive many exciting and interesting entries from across the world, ones which were able to capture the ideas, ethos and function of the IFCM in its international work. The vast brief given to entrants included that the new logo should project professionalism, internationalism, artistry, creativity, diversity, global community, success, achievement, confidence, choral singing, music making at all levels, energy, vibrancy, participation and inclusion, intelligence, and most importantly, innovation. It was to be simple, timeless in style, yet contemporary, representative of all styles of choral music, cultures and ages, eye catching and immediately recognizable, and adaptable to lots of different settings and purposes. We believe the winning entry fulfills this brief perfectly. The winner of the challenge was an entry selected by a team from within the IFCM board and membership, created by Lithuanian choral singer and graphic designer, Ernestas Šimkūnas (Graphic designer for UAB INTERGRAFIKA www.intergrafika.eu ) and submitted on behalf of Klaipėda Choir’s Association. 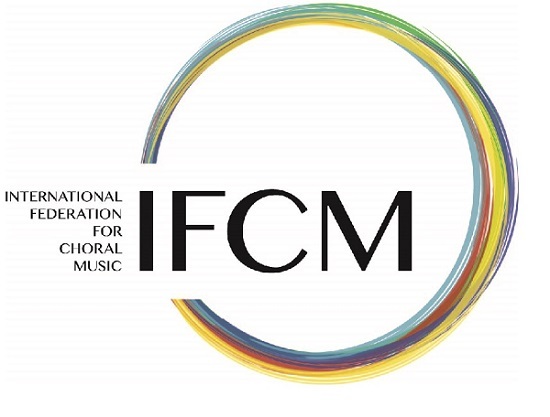 Congratulations to Ernestas and AUKURAS for the new, exciting and visible image for the IFCM.